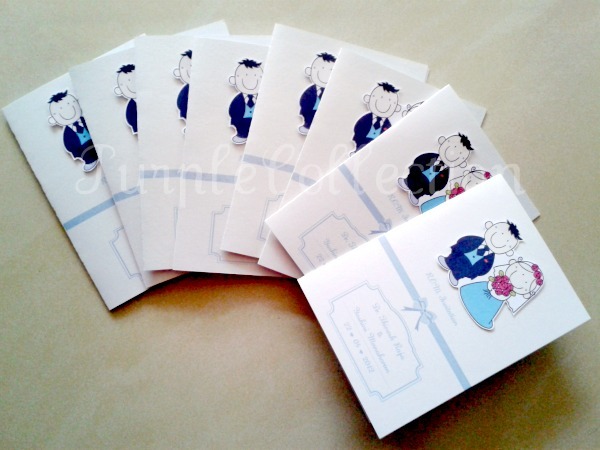 Here are customised R.O.M invites for Yoshini from Kelantan. Her R.O.M theme is cute, white and sky blue. She has included a nice poem in her inlay together with the invitation wording details. 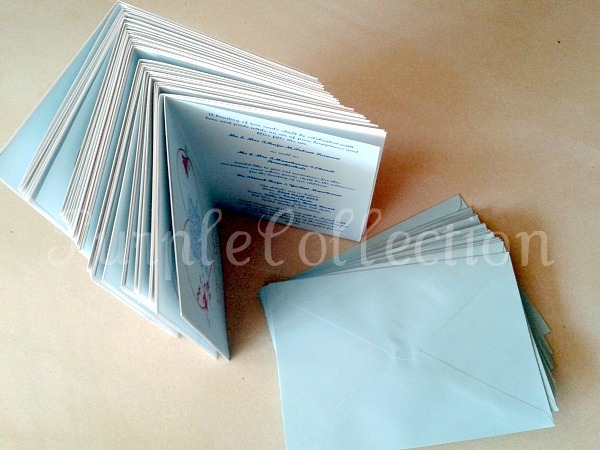 Envelopes colour in pastel blue. This is another order from Li Li. 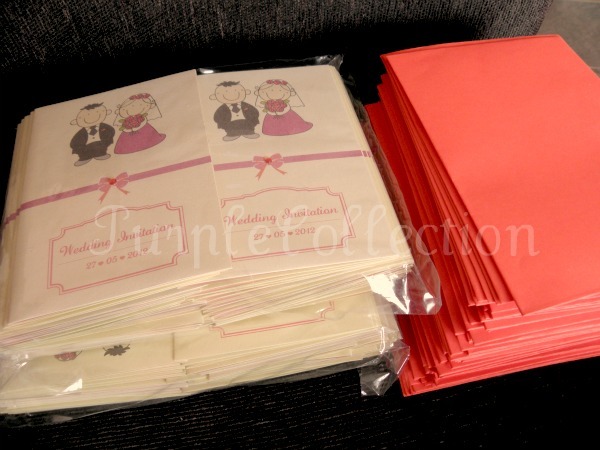 Her request was to change the card stock to ivory pearl card plus red envelopes. This is in pink and beige theme.